Chromium plated finish. Crestoloy steel. Special alloy used only by Crescent Tool Company. Accurate machining and smoothly working parts. 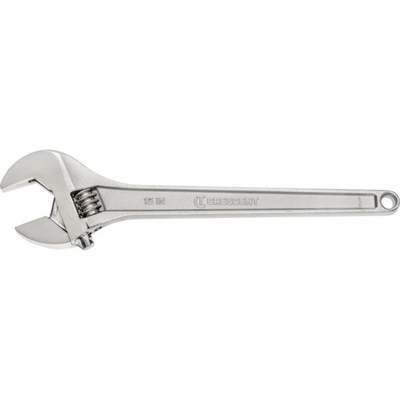 Wide handle reduces hand fatigue while making the wrench more comfortable to use. Extra wide jaw capacity. Carded.